Where to Buy Adrafinil Online? How Common is Fake Adrafinil? Where to Find Real User Reviews of Adrafinil? Adrafinil is one of several nootropic drugs that have not yet been regulated by the FDA. Although it is said to be about three times less effective than the FDA-approved, prescription-only modafinil, adrafinil (a modafinil precursor) can be a better choice for a mild cognitive enhancer as it is legal to buy over the counter. Although the original Olmifon brand is no longer available in stores, you can still get quality generic adrafinil from many nootropics vendors. The following are a couple trustworthy online stores where you can order pure, lab-tested adrafinil capsules or powder. Nootropics Depot is run by some nootropics devotees who are active among the Reddit community. They do their lab testing in-house and also in third-party labs. ND provide distinguished quality and fast customer service. 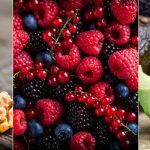 You can find numerous nootropics and cognitive supplements on their online shop in powder form as well as vegetarian capsules and gelatin softgels. 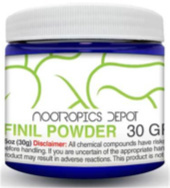 Products They Sell: Adrafinil, phenylpiracetam, phenibut HCl, tianeptine sulfate, piracetam, noopept, choline l-bitartrate, sulbutiamine, and others. Money-Back Guarantee: No returns accepted, except at their discretion. 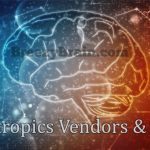 This US-based vendor sells high quality nootropics and medicinal mushrooms. Their products are tested for purity in US labs and you can view the certificates on their website. Pure Nootropics have very helpful and committed customer service. Their products come in different quantities and forms including pure powder, vegetarian capsules, and gelatin softgels. 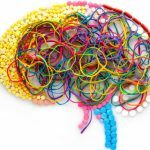 Products They Sell: Adrafinil, noopept, aniracetam, phenylpiracetam, choline, and many other natural supplements and chemical cognitive enhancers. Health Naturals has been selling quality dietary supplements for well over a decade. 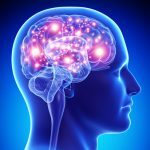 They have recently introduced many nootropics to their online shop and they are one of the top rising vendors in this category. The Health Naturals shop is backed by a well-established brick-and-mortar health store called Live Oak Nutrition of Brunswick County, NC. Most of the nootropics sold at Health Naturals come in capsules, and include a recent Certificate of Analysis showing lab test results. AntiAging Store, aka AntiAging Systems, is a UK-based vendor that has been selling health products for over two decades. They are not very popular these days, but still offer some quality brands of supplements. The AntiAging Store sell a branded generic version of adrafinil called Adra-Pro, which comes in 300mg tablets. This product is manufactured in India and distributed by UK-based Profound Products. One box of Adra-Pro costs $27.99 (current sale price) and contains 40 x 300mg tablets. They also sell other branded nootropics, including aniracetam, piracetam, picamilon, and even modafinil — cough cough! There used to be several adrafinil products on Amazon from different sellers, but Amazon have lately wiped out all adrafinil supplements from their websites in the US, UK, EU and other countries. They have also removed most other nootropic drugs, particularly racetams and their analogues. I could only find a few adrafinil listings on the Amazon Canada website, which only ships to Canada. They will probably take those down soon too. Although Amazon is one of the top popular places to buy supplements from, adrafinil is not a dietary or nutritional supplement, but rather a synthetic chemical drug. Amazon, like many other major retailers and nutrition stores, have opted not to deal with unapproved drugs that may pose a considerable legal liability risk, and many nootropic drugs are just that, despite being legal! 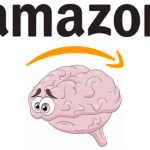 It is not likely that Amazon will change their mind and bring adrafinil and other nootropics back to their websites, especially that the legal noose is becoming tighter around many unscheduled drugs in the US and other countries around the world. Nope, you won’t find adrafinil on the shelves or online stores of CVS, Walmart, Walgreens, and most other local retailers. Again, the reason is that adrafinil is not a dietary supplement neither an approved drug. Most consumers buy adrafinil from online suppliers since it is extremely unlikely to be found in local stores whether in the USA or elsewhere. Adrafinil belongs to a class of drugs known as eugeroics or eugregorics, aka wakefulness-promoting agents or drugs. 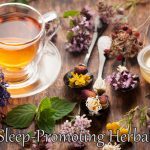 It was originally used to improve wakefulness, arousal and alertness in elderly patients who suffer from sleep disorders, including narcolepsy and excessive daytime sleepiness. It is also widely used off-label as a nootropic or cognitive enhancer. This drug was first discovered and synthesized in France by Louis Lafon Laboratories. It has various chemical names (synonyms) including: 2-(Benzhydrylsulfinyl)acetohydroxamic acid, 2-benzhydrylsulfinylethanehydroxamic acid, 2-((Diphenylmethyl)sulfinyl)acetohydroxamic acid, and others. Adrafinil is a precursor for modafinil. Once digested and absorbed, it gets metabolized in the liver into modafinil. Both adrafinil and modafinil are believed to have the same effect, although adrafinil is weaker as only a portion of the dose gets converted to the active metabolite modafinil. Adrafinil was primarily sold in France and other European countries under the brand name Olmifon, which was discontinued in 2011 as the manufacturer opted to focus their marketing efforts on the more powerful modafinil. As for its legal status, adrafinil is only approved as prescription-only treatment in France and Australia. In the USA and other countries, adrafinil is an unscheduled and unregulated drug. That means it can be legally bought over the counter. Adrafinil typically comes as an off-white crystalline powder with a light rosy/pink tint. It has a slight sulfurous odor. The color and smell of adrafinil depend on the manufacturing (filtration and crystallization) process, and thus may slightly vary from one source to another. It may come as white powder and/or has no distinct smell. Some manufacturers crystallize adrafinil in ethyl acetate and isopropyl alcohol, in which case it may smell like acetone (nail polish remover or paint thinner). 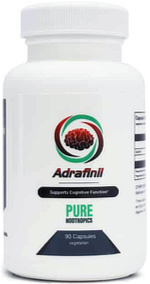 Pure adrafinil (with no additives/fillers) is partially soluble in water, mostly soluble in ethanol, and completely soluble in methanol. After Olmifon (brand-name adrafinil) was discontinued in 2011, almost all of the generic, commercial adrafinil on the market today comes from China. The quality and purity of the compound varies from one manufacturer to another, and even from one batch to another. Some nootropics vendors would just order raw adrafinil from Chinese manufacturers, pack it into jars or bags (powder), or bottles (capsules), and sell it to consumers without testing the raw material for purity. In such cases, there is a good chance that the product is of low quality or even an entirely different compound than labeled, like baking soda! It is not uncommon for Chinese companies to send wrong/fake/dangerous batches, and this has happened even to reputable vendors. That is why reliable vendors always perform lab testing locally of every batch of raw material they receive from China. Some vendors, like Nootropics Depot, perform multiple analytical tests in their in-house lab to verify the authenticity and purity of their products. Quality control varies from one supplier to another, so make sure you order your nootropics from those who authenticate every batch of their products, such as the recommended vendors above. The main effect of adrafinil is that it reduces drowsiness and enhances vigilance and activity, and this effect has been particularly observed in patients with narcolepsy and other sleep disorders. There is limited animal research that suggests adrafinil may also improve learning, but this effect has not been studied in humans. One study found that adrafinil increases alpha wave activity in the brain. Alpha waves are responsible for different functions in the brain and they are associated with wakeful relaxation. They have also been linked to increased creativity and decreased depression. The results experienced by each user may vary. Some people noticed improvement in focus, clarity, energy, mood and/or motivation. 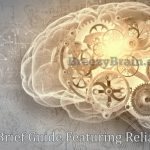 Most of the claimed benefits of adrafinil as a cognitive enhancer or smart drug are based on anecdotal evidence and have not been clinically established. 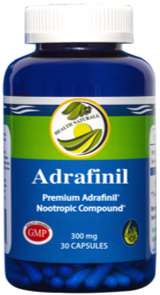 Adrafinil is a mild central nervous system (CNS) stimulant that has different psychoactive effects. Adrafinil gets metabolized into its main active metabolite: modafinil, which is responsible for most, if not all, of the pharmacological effects of adrafinil. Modafinil is believed to act as a selective alpha-1 adrenergic receptor agonist. However, some studies disputed this hypothesis, and the exact mechanism of action remains not fully established. Modafinil has been found to work similar, but not identical, to other sympathomimetic drugs (adrenergic amines) that have wake-promoting effects, such as methylphenidate (Ritalin) and amphetamines (Adderall and Benzedrine). Another studied hypothesis suggests that modafinil decreases the release of GABA and increases the release of dopamine in the nucleus accumbens. Other investigated mechanisms of action suggest that modafinil enhances the release of glutamate (an excitatory neurotransmitter), and improves the brain’s metabolic rate. There is still a significant lack of understanding in the medical community of how both adrafinil and modafinil exactly work, and further clinical research is warranted. The effective dosage of adrafinil ranges from 100 mg up to 1,200 mg daily, and varies from one individual to another. The original Olmifon brand used to come in a 300 mg dose, and this is widely accepted as the standard dosage of adrafinil. 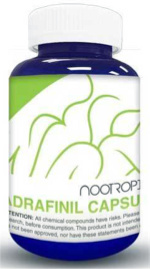 Most nootropics vendors offer adrafinil capsules with a 300 mg dose/capsule. It is recommended to start with a 300 mg dose and then increase or decrease it gradually until you achieve the desired effect. You should not take more than 1,200 mg of adrafinil per day. Keep in mind that adrafinil does not work for everyone and some people do not respond to adrafinil or modafinil. If you take a 1,200 mg dose and still notice no results, then this drug probably doesn’t work for you. Adrafinil works best when taken in the morning on an empty stomach. Taking a high dose in the evening may cause sleeplessness. You can take adrafinil every day since it does not develop tolerance, but it is generally not recommended to take any nootropic drug every day. Taking it 2-4 times a week seems to be the most common practice among nootropics users. Adrafinil has a biological half-life of 1 hour, while its metabolite modafinil has a half-life of 12-15 hours. You can expect the effect of the dose to kick in around 1-2 hours after digestion. It can remain active in your system for several hours. There are no known major side effects associated with the use of adrafinil within normal dosages (300-600 mg). It may not be safe to take more than 1,200 mg of adrafinil in a single day. Adverse effects in healthy users are rare, but may include headache, nausea, insomnia, and dry mouth. Adrafinil does not cause dependence or addiction. Adrafinil is a mild stimulant, so taking it with other stimulants – like caffeine – may cause agitation and nervousness. 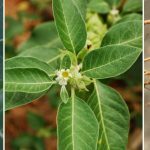 Because this drug is metabolized in the liver, it causes a rise in liver enzyme levels. To avoid overtaxing your liver, you should not take adrafinil with alcohol or other drugs that can raise liver enzymes. There are no studies of adrafinil’s long-term effects on the liver, but it is generally not recommended to take any nootropic drug for more than a couple of months, at least not without taking some time off. 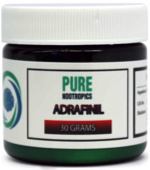 You can find authentic, unbiased reviews and experiences of adrafinil on some non-commercial websites. For example, Reddit has a large community of nootropics users who share their personal experiences of adrafinil and many other nootropics — just go search for it! Another helpful place is the Erowid Experience Vaults, where many consumers share their personal experiences and stories about different psychoactive substances. Since adrafinil is not an approved drug, there is little information about its optimal effective dosage. Most dosage recommendations are based on anecdotal evidence and personal experiences. The following are some general guidelines and tips for using and dosing adrafinil. It is believed that adrafinil is about 3 times less powerful than its prescription analogue: modafinil, which is taken in doses from 100 mg up to 400 mg per day. The standard dosage of adrafinil is 300 mg taken once or up to three times a day. It is not recommended to take more than 1,200 mg of adrafinil per day. Some users are more sensitive to adrafinil than others, and the effective dosage varies for each individual. You may notice improvement with just 150 mg/day. People who take other nootropics as well may require a lower dose than those who use adrafinil alone. Adrafinil is best taken in the morning on an empty stomach with a glass of water or juice. The powder tastes a little bitter but acceptable. You can take it with citrus juice to mask the bitterness, or take the capsules instead. Since adrafinil is metabolized in the liver, avoid taking it with alcohol or other drugs that are metabolized in the liver as it may overtax your organ. Although adrafinil is not known to cause tolerance (reduced effectiveness with frequent use), it is recommended to avoid taking it every day. Try every other day, or 3 times a week. You should also take a week (or more) off after every 4 or 5 weeks of usage to give your liver a little break. This is called cycling and it can help your body remain responsive to the drug. Taking adrafinil with caffeine or other stimulants may cause anxiety and nervousness. You should avoid mixing it with stimulants to avoid jitters and escalating side effects. Avoid taking adrafinil in the evening as it may prevent you from sleeping, unless of course you’d like to stay up all night! Some users don’t experience insomnia even if they take it late, so stick with whatever works for you. Adrafinil was originally developed to improve wakefulness, vigilance, attention, and mood for people with sleeping problems. Many healthy men and women use it off-label to boost their mental energy, focus and motivation. Adrafinil is a mild stimulant that doesn’t cause hyperactivity. Not everyone responds to adrafinil and other -afinil analogues, such as modafinil and armodafinil. There is a chance that you may not notice any significant results from this nootropic. Adrafinil is an unscheduled and unregulated drug, so it can be legally purchased over the counter from local and online suppliers. The World Anti-Doping Agency has added this drug to their list of banned stimulants in athletic competition. 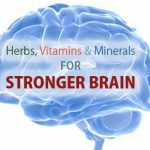 Brain Tonic Herbs, Vitamins & Minerals. 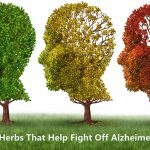 Get Smarter Naturally! Disclaimer: The content of this website is provided as general information and does not replace professional medical advice. The statements herein have not been evaluated by the FDA or a healthcare professional. If you are looking for medical advice about a specific health condition or treatment, please consult with your doctor or healthcare provider. None of the products that appear on this website are intended for the treatment or cure of any health condition or disease. Some links to external product pages are affiliate links, meaning we may receive compensation for referred sales at no additional cost to the buyer. Product and vendor reviews are based on the personal experience, knowledge and/or research of the corresponding author. We are not responsible for external links and their content. Copyright © 2019 • BreezyBrain.com • All Rights Reserved.